SM in the NYT: Three weeks ago I was very pleasantly surprised to read a terrific article in The New York Times on a topic I know quite well and am greatly interested in. Entitled “The Near Death, and Revival, of Monticello,” the article, by the noted presidential scholar Michael Beschloss, was, in essence, a 925-word distillation of the main points of Saving Monticello. 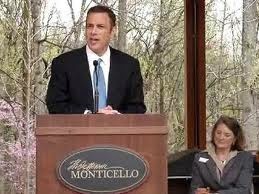 To his credit, Beschloss (in the photo below, speaking at the 2008 dedication of the Monticello Visitors Center) cited the book in the article. I am pleased to report that the mention of Saving Monticello—along with a little help from Facebook, Twitter and replies to comments on the NYT web site by yours truly—created a small buzz for my book in February 2015, something that pleases the author of a book that was published in 2001. He reports that Jefferson Monroe Levy bought out the other heirs for $10,050 in 1879 and vowed “to restore Monticello ‘to the original plans and style,’ and within a decade, “a visiting reporter [magazine writer Frank Stockton, as I note in the book] found it ‘as sound and substantial a country mansion as it ever was.’” Then he covers the attempt led by Maud Littleton in 1912 to take Monticello from Jefferson Levy and turn it into a government-run shrine to Thomas Jefferson. That’s where Beschloss quotes me. “Marc Leepson wrote in his 2001 book, Saving Monticello, that there was a ‘strong anti-Semitic subtext in Mrs. Littleton’s campaign,’ with its ‘themes of greed, selfishness and lack of patriotism.’” I thank him for that. EVENTS: Here’s a rundown on my March events. Most are in conjunction with my latest book, What So Proudly We Hailed: Francis Scott Key, A Life. 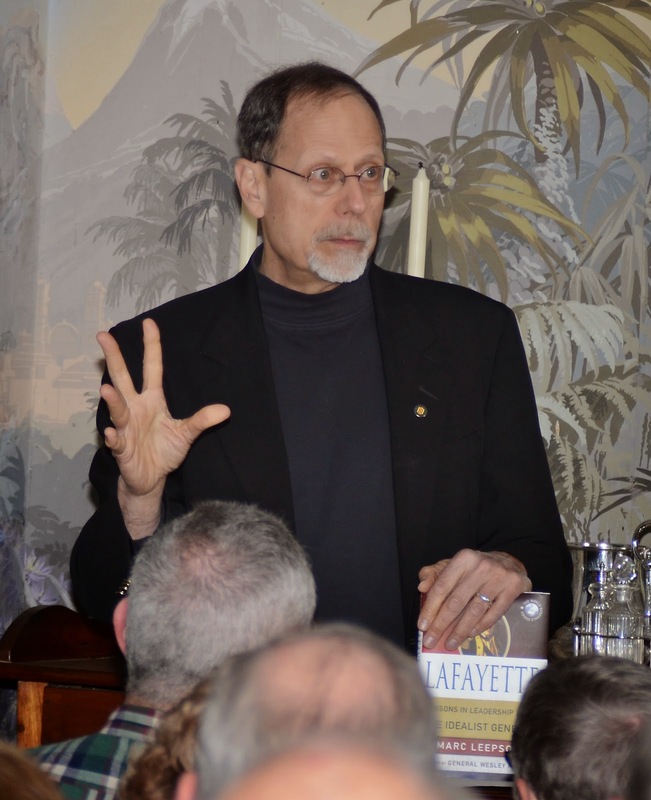 Tuesday, March 17 – Talk on Francis Scott Key at the Annual Meeting and Dinner of the General Society of the War of 1812, Washington, D.C.
Sunday, March 28 – Presentation of researching history at Writers Project Runway conference, Ida Lee Recreation Center, 60 Ida Lee Drive, NW, Leesburg, Virginia. Tuesday, March 31 – 7:00 p.m. talk on Francis Scott Key at the Beatley Central Library, 5005 Duke Street, Alexandria, Virginia. Free and open to the public.